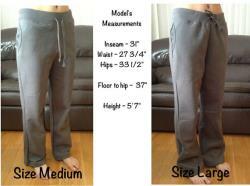 $34.00/pair of sweatpants with discount. If you need your bridal sweatpants sooner, please let me know and i will try to get them to you more quickly. Please include your "need by" date and letter colors when ordering. If you need a larger quantity than what shows as available, please ask me and i will add more. You can order directly from here or let me know the details of your order and i will set up a reserved listing for you. Please see photo of colors above. 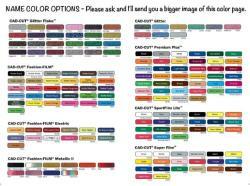 Many colors available please ask if you don't see the color you're looking for. The letter color shown in photos is matte pink. The letters are a sturdy, heatpressed transfer on a great pair of charcoal grey ladies' yoga style sweatpants with pockets. Covered elastic waistband with drawcord. Scooped side-seamed pockets with jersey lining. Slightly tapered legs with open bottom. Please note this style of sweatpants seems to run small. Consider ordering one size larger if you are concerned about fit. Please see photo #5 above for additional sizing help. Sweatpants available in white, black, azalea, charcoal grey, maroon, navy, red, and sport grey. Waist extended(stretched) 2223 2425 26 (measuring front of waist only). Waist relaxed 1415 1617 18 (measuring front of waist only). Waist tolerance1 1 1 1 1. My thanks to lauren and her beautiful bridal party who are featured in photo #1. For personalized tank tops, see this listing in my shop. I had the privilege of making bridal party sweatpants for the 9 beautiful bridesmaids in kara & michael's wedding. Please take a peak at this amazing wedding video. Wedding video courtesy of fiore films. Wedding photos courtesy of lindsay madden photography. With all the stress of wedding planning - the bride deserves some r & r with her bridesmaids kick back and relax with these super comfy, open-bottom sweatpants great idea for a ladies' night out before the wedding day or the day of while doing hair and makeup. And - don't forget the groom and his groomsmen.